Here at Charlotte’s Best Nanny, safety is our top priority. Here is a list of safety tips to stick to while Trick-or-Treating. • Plan Your Route Ahead of Time: Adults should plan an approved route ahead of time. It is also a good idea to go to a family friendly event to Trick-or-Treat at. • Bring a Flash Light: Always carry flashlights when Trick-or-Treating. Have each child wear something that glows or is lit up. • Always Trick-or-Treat with Adult Supervision: Never Trick-or-Treat alone. A responsible Adult or Care Giver should be with you at all times. Trick-or-Treating in a group is always more fun than going by yourself. • Do not go into a strangers home: Always accept candy at a door way, never go inside a strangers house. It is not safe (even on Halloween) to go into a strangers home. If a stranger makes you uncomfortable you can always walk away or call 911 if needed. • Keep your costume safe: Kids costumes should not prevent them from walking safely or seeing where they are walking. Costumes should also be easy for children to get off for trips to the bathroom. 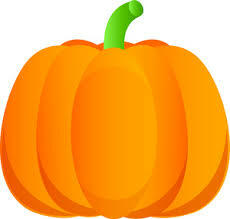 • Wear comfortable shoes: Kids and Adults should wear comfortable walking shoes while trick or treating. You will thank me later for this tip and you can move faster with more comfortable shoes on. • Bring water and keep hydrated: Do not forget water bottles. Children will get thirsty and this ensures that no one becomes overheated. • Wait to eat your candy when you get home: Parents should always check Halloween Candy before a child eats it. This is to make sure all candy is free of anything that would harm a child. Also remember many kids have allergies, so make sure there are no ingredients on the candy that your child(ren) may be allergic to. Also it is a good idea to limit your child to a few pieces of candy so they do not get a stomach ache. • Be Polite when Trick-or-Treating: Always say Trick-or-Treat and make sure to say Thank You! • Most Importantly Have Fun!